Being a mom, I feel like I always need to be extra prepared. From a fever, to a headache and even dry lips. It can hit anytime, anywhere. Not only for your children but yourself too. I know headaches are something I get frequently and Advil is the first thing I pick up. Have you ever tried being at a dance competition with a headache? It's already stressful and having a headache doesn't help. That's why I'm always sure to have a Purse filled with these must have Essentials like Infants Advil, Advil Tablets, ChapStick and Centrum VitaMints. My daughter's are no longer infants, but my worry for them hasn't stopped. I know as a mom to an infant, you never want to leave home without making sure you have everything. Being a mom to a toddler and child is no different. My oldest has allergies that can be triggered at any time and my youngest constantly has her hands in her mouth, so I want to make sure I'm prepared for anything. Allergies can hit in so many different ways. Like a sneeze or cough, even a fever. 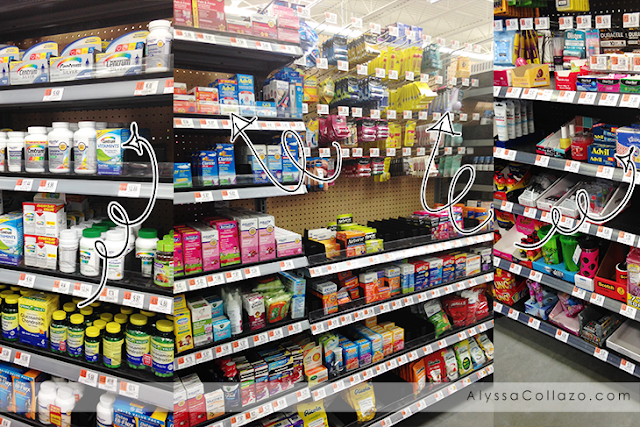 Thankfully Walmart carries all my Pfizer Purse Essentials and at a wonderful cost. Plus, I can purchase all my essentials while grocery shopping, how perfect is that! As moms, we often forget to think about ourselves. We're always ready when it comes to our children. We have medicine, wipes, hugs and kisses for them. We're always prepared for their needs but we often forget about ours. 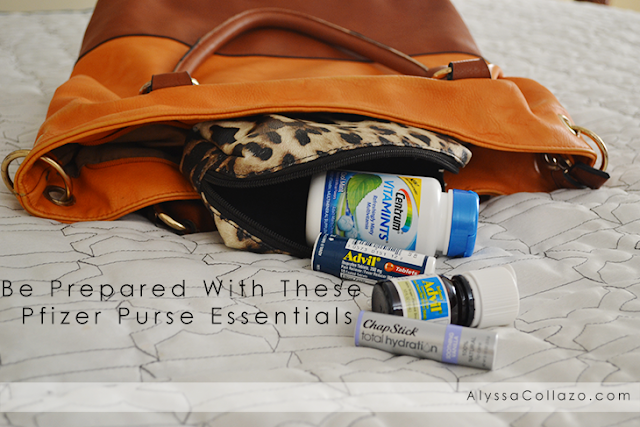 When my oldest was younger, my purse was filled with essentials for her and often I would struggle though a headache. Now that I am older, wiser and with two children, I remember to carry items for myself. I am no good to my children if I feel like my head is going to explode. 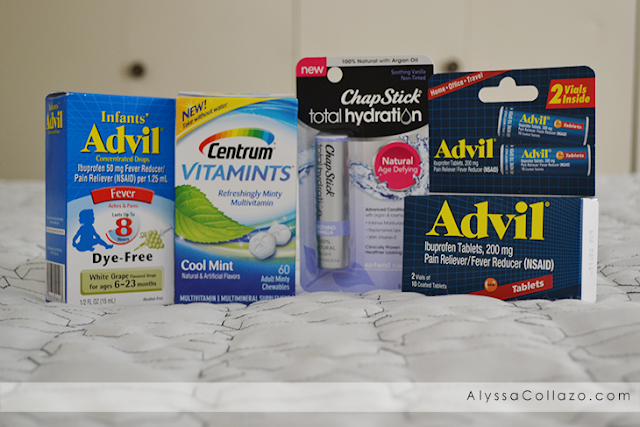 I am always sure to have Centrum VitaMints, Advil Tablets and ChapStick with me. It's important to carry my vitamins with me as I am a very busy mom and often forgot to take them in the morning. 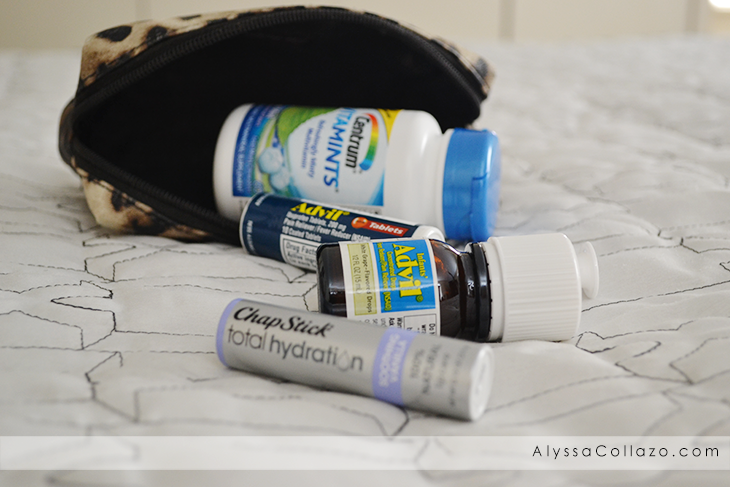 I always have my purse, so I always have my vitamins. And naturally, with two little girls who are very active, in school and in dance I always need my Advil. A headache can ruin just about anything and for my girls, I need to be at my best. And ChapStick is just a must because no one likes dry lips, especially not me. Now that you know the importance of having a purse filled with essentials, do you plan on making one? If you already have one, what are your must have essentials? And to keep myself organized, I like to use a small separate purse for my actual purse. I know I like having a huge purse and to make sure my essentials don't get lost, I just put all my essentials in a cute little purse. It definitely makes looking for things trouble-free. Remember, carrying a purse filled with essentials will make your days easier, the easier the better and the better, the more you can smile. These are all must haves for the season. 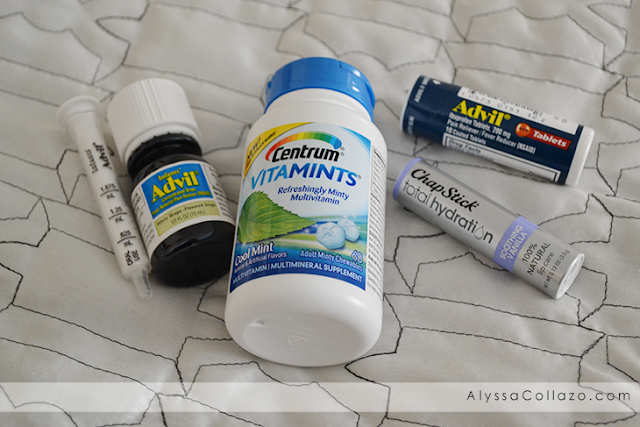 You've got to be prepared for sickness and chapped lips when winter comes around. The only thing I never, ever leave my house without (other than my phone) is my Blistex. My lips are always chapped and I need that. We literally just came home from the store buying a lot of these items. They are always good to have on hand because you will never know when you will need them. Advil is my best friend when I have migraine! It's a must have for my purse as well. I didn't realize until a few years ago how important it is to always have one of these in your purse. It's always super important to be prepared. I love this! I'm totally the mom with everything for my kids and not much for me. Thanks for some good ideas to include myself as well. I will say I DO always have my Burt's Bees chapstick. It's a must. I love this idea. These are the essentials you need in your purse during the cold months. These are great things to have in the purse. I know I would reach for them often! I didn't realize how important it is to always have one of these in your purses! It's always important to be prepared, when you need it! Talk about the must-haves for momma. There are certain things that I have with me at ALL times to make sure the entire family is covered; especially my daughter. I love your lineup and I am thrilled to know that I’m not the only one that has a list of essentials that go everywhere with me. Moms need to be prepared. You forgot the band aids, lol. I didn't realize Walmart carried all that. Never think to shop there for first aid. I love the pictures! Also, these are must-have essentials to get through the season. It has been awhile since I've used Chapstick, but I'm always sure to have lip balm in my handbag since my lips are prone to get dry and chapped during the cooler seasons. I tried the Centrum mints today. They were pretty tasty! Centrum has mints? I had no idea!! This is must-have essentials. I do worry about my kids getting sick. They get sick when I least expect it. It's a good idea to always carry a handbag with my must-have for my kids. Thanks for sharing. Unfortunately these products are all must haves for the upcoming winter season. Thankfully there are products out there that make the side effects of the season manageable! Sounds like you are well prepared to welcome the winter season and its seasonal diseases :) Those are great range of products that you are listing. I am a chapstick addict! Advil is always great for me to have on hand.